As a global leader in cash technology solutions, Glory provides the financial, retail, cash centre and gaming industries with confidence that their cash is protected and always working to help build a stronger business. Our cash automation technologies and process engineering services help businesses in more than 100 countries optimise the handling, movement and management of cash. While we span the globe, we personally engage with each customer to address their unique challenges and goals – enhancing staff efficiency, reducing operating costs and enabling a more rewarding customer experience. We offer peace of mind. We enable transformation. We generate options. We empower people. We do all this by releasing companies from the burden of cash management, putting cash to work, and helping customers enhance the value that their staff and facilities add to their business. 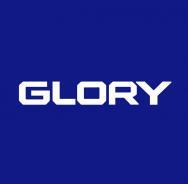 We are Glory. We secure the future.